PUBLISHER : KONG & PARK USA, INC. 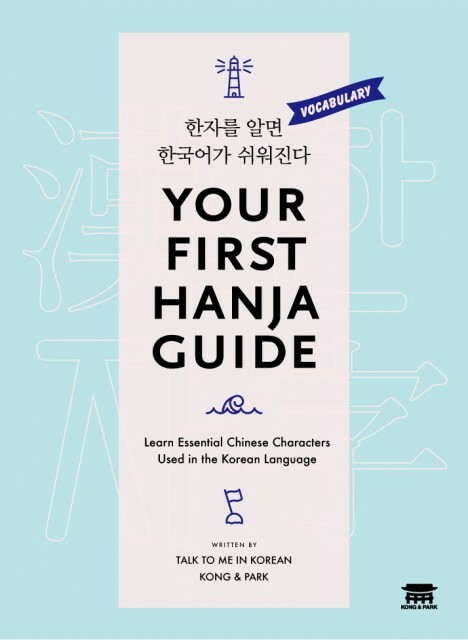 This book contains essential Hanja characters that can be understood by most Korean adults, are commonly used on signs and in advertisements, and/or is sometimes still used in formal or traditional writing and art. Learning and understanding Hanja will not only help you when reading Chinese characters, but it will also help you expand your Korean vocabulary and make conversing in Korean a bit easier. Established in 2000, KONG & PARK INC. is a publishing company that has specialized in researching and publishing books for studying Chinese characters. The KONG & PARK research team has organized more than 3,500 Chinese characters, and based on their research, they introduced fun and faster way to learn Chinese characters by focusing on 250 root characters. After the introduction to the root characters, their book illustrates how different characters are added to the root characters, creating different meanings and words. Given the repetition of the root characters, it enables readers to easily learn and memorize the root characters as well as the derivation of different words from them. The company applied for a patent for this unique study method in 2008 and was granted one in 2012. "Hanja(한자, 漢字)" refers to Chinese characters that are used in Korean, and even if you don't actually know how to read and write the Hanja characters themselves, knowing Hanja-based words will exponentially increase your Korean vocabulary, since many Korean words are based on these Chinese characters. Over the past few years, we have received many questions like these and here are our answers. Q: Do Korean people really know thousands of Hanja? A: Many of them do! And most people can at least read and understand hundreds of Chinese characters but they may not be able to write everything from memory. Q: Will knowing these Hanja characters actually help with my Korean vocabulary? A: Definitely! Learning Hanja can be compared to learning Latin and Greek word roots when learning English, but much easier and much more applicable to everyday usages. Q: So, even if I don't actually memorize Hanja characters, studying Hanja can still help me improve my Korean? A: Yes! Studying Hanja will help you develop a sense of understanding and even guessing the meaning of new words you encounter for the first time!